Mike and Ginger Greene, missionaries to Honduras, have a blog for those who wish to stay updated and continue to offer prayerful support of their work: www.ncbmhonduras.blogspot.com. 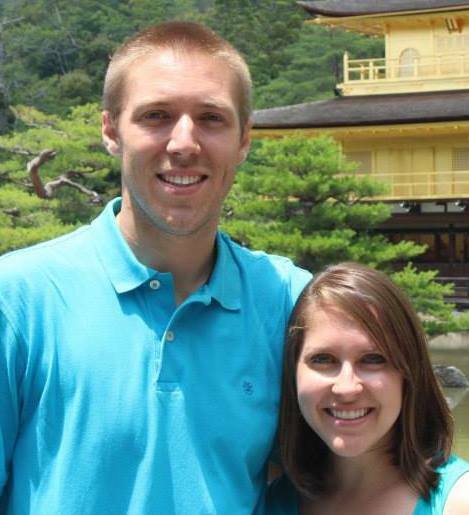 Carson and Laura Foushee are Cooperative Baptist Field Personnel to Japan and serve through congregational leadership, community outreach, and English-language ministries. You may "Like" them on Facebook at www.Facebook.com/FousheesInJapan or follow their blog at www.FousheesInJapan.com. Jesus said, “The harvest is plentiful but the laborers are few” (Matthew 9:37). Sign up to pray one hour a week in our Intercessory Prayer Room. The Prayer Room is available for all. It is open during office hours, on Sunday mornings, and on Wednesday evenings. There are available spots for volunteers to participate in the Intercessory Prayer Ministry. If you have an hour a week that you could devote to intercessory prayer in the Prayer Room for the prayer requests we receive, please contact the church office at (910) 692-8750. Volunteer to serve with this organization which ministers to homeless children and their families by providing overnight lodging, meals, and hospitality. We partner with other churches in our area by "taking turns" hosting the families in need for one week at a time at the Family Promise House at 400 Saunders Boulevard in Aberdeen. Each church is called to serve every few months. We need volunteers to prepare meals and stay overnight (with your spouse or another church member of the same gender). Please complete this form if you are interested in volunteering. Join us as we pray for and support the mission endeavors of our church, community, and Baptist missionaries around the world. Both morning and evening groups are offered. The ladies of the Mission Action Group invite you to join them on the third Monday of each month at 11:45 a.m. in the Fellowship Hall or in one of our classrooms. For more information, call the church office at (910) 692-8750. The Harvest Laborers invite you to join them on the second Tuesday of each month at 6:30 p.m. at a member’s home. For more information, call Nelda Cockman or Karen Griffin (see your membership directory or contact the church office for Nelda and/or Karen's contact information). Join others for fellowship and prayer as you craft prayer shawls to be given as gifts of comfort and assurance to those who are ill or bereaved, scarves for our college students, and "chemo caps" for cancer patients at FirstHealth Moore Regional Hospital. Crocheters are welcome, too. 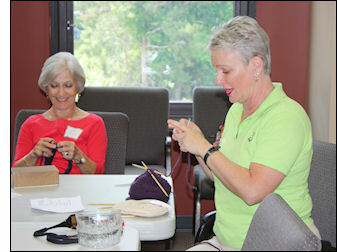 If you don't already know how to knit or crochet, we will teach you! Based on Matthew 25:40, this annual event is an intensive day of ministry to people in our community through a variety of hands-on projects. Participate in the mission trips sponsored by our church. No matter what your skills are, we can find a place for you! Recent mission trips took us to Tennessee, West Virginia, Washington, DC, and Honduras. © Copyright , First Baptist Church Southern Pines, NC. All rights reserved.